There is nothing more hypocritical than a liberal who lives under the notion of “do as I say and not as I do,” which during President Trump’s era, occurs as frequently as any other leftist hysteria that you could possibly imagine. You already know that they are on top of a pedestal where they screen outrageous liberal propaganda like it’s a soapbox, while simultaneously acting as if they’ve never made a mistake and they have nothing to hide. That’s never the case. And it certainly wasn’t the case for this liberal Trump-hating celebrity who was caught red handed wearing blackface. Virginia exposed Democrats as being downright frauds in the last couple of weeks. First it was Virginia Governor Ralph Northam who allegedly wore blackface in his 1984 medical school yearbook. Actually, that’s only sort of what happened. At first, he admitted and apologized that it was him in the yearbook wearing blackface, but then he did a 180 and suddenly decided that it was not him in the picture, which would be odd and incredulous, especially when you consider that it was his yearbook page. He made that sudden “realization” after many called for his resignation. And then he hilariously offered a caveat, which was that he admitted to “darkening” his face for a Michael Jackson costume. It was a roller coaster. After that debacle, it was democratic attorney general Mark Herring’s turn admitting that he used blackface and a wig to dress up as a black rapper, Kurtis Blow, while he was at the University of Virginia back in the 1980s. And just when it couldn’t get any worse, Lieutenant Governor Justin Fairfax, who would have succeeded Northam if he resigned, was accused of sexually assaulting a woman back in 2004. These are the same people who automatically publicly indicted then-Supreme Court Justice Brett Kavanaugh. Do you smell the hypocrisy? Now it’s Joy Behar’s turn, as the co-host of The View was caught wearing blackface when she dressed up as a “Beautiful black woman,” for Halloween one year. 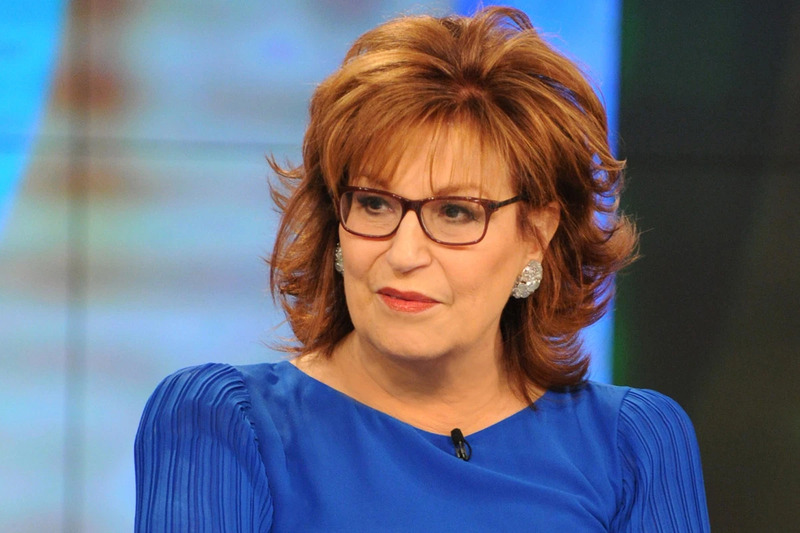 Media editor for The Wrap, Jon Levine, tweeted a 3-year-old segment of The View where Behar admits to putting makeup on herself “that was a little darker than my skin,” she claimed. He did this amidst the blackface revelations of the democratic leadership in Virginia. But here’s where the hypocrisy is thick with liberals in the entertainment industry. Megyn Kelly was blasted by leftist critics for saying that she thought it was okay for white people to wear blackface on Halloween and didn’t see it as racist at all. A day later, Kelly apologized and admitted that she realized it was racist after all, but that didn’t stop NBC from cutting ties with her altogether. The difference here is that Behar literally wore a blackface for a costume and ABC will likely do nothing about it because she’s anti-Trump. You know how Hollywood and the rest of the entertainment business are safe so long as they despise our commander-in-chief. Behar once said on the show that Pres. Trump lies right to their supporters’ faces and don’t care. Behar spews this kind of nonsense on the ABC show without consequence and now that she admitted to this racist act, even if it was years ago, nothing will come of it because that’s the Hollywood liberal way.